Immigration usually takes between 15 to 30 minutes, depending on your arrival time. If you visit Hong Kong frequently, I recommend applying for the e-channel service. You can then skip the immigration line and go right to the automatic immigration gates. Right after baggage reclaim and customs, there are counters to exchange currency. Some of them also sell SIM-cards and Airport Express tickets. I recommend getting a China Mobile SIM-card at their shop near concourse B in the centre of the arrivals hall. On my last trip, I paid HKD 80 for a five-day SIM card. So far that has been one of the cheapest options. If you stay on Hong Kong island or around Tsim Sha Tsui, I recommend taking the Airport Express. It takes you to Central in 24 minutes and is really efficient. (It also stops in Kowloon.) The first train leaves at 6 am and the last one leaves at 00:45. You can buy tickets either near the money exchange counters right after the baggage reclaim or at the ticket stands in front of the entrance to the trains. A single journey is HKD 85 (about USD 11). Alternatively, you can also get an “Octopus Card” which you can also use for the MTR (subway), tram, busses and the Peak Tram. 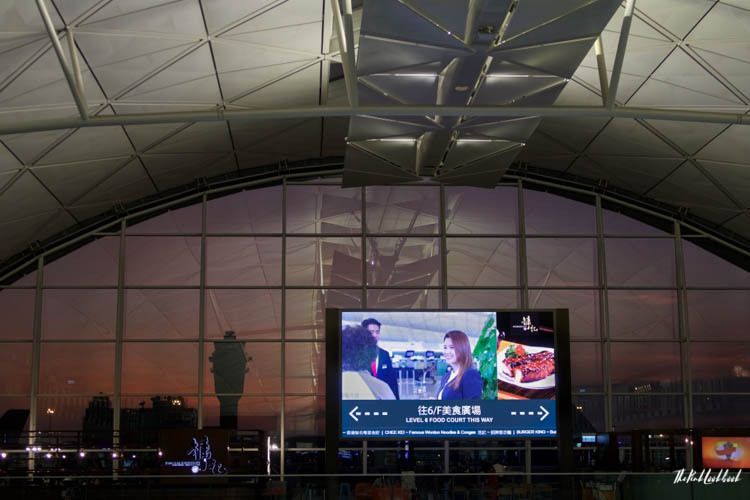 Do not be confused, you can reach the Airport Express gates without showing your ticket. You will need the ticket when you leave to get out of the station. Right at the exit of Hong Kong Station in Central, there is a taxi stand. Alternatively, you can take a taxi or Uber to the city. Fares are about HKD 300-350 (about USD 40-45) to Central. However, timing- and cost-wise the Airport Express is the most efficient way to Central. I recommend taking a taxi from there to your final destination, as Hong Kong traffic is unpredictable. There are ferries leaving from HKG to major ports in Dongguan, Guangzhou, Macao, Shenzhen, Zhongshan and Zhuhai. I absolutely love this concept! 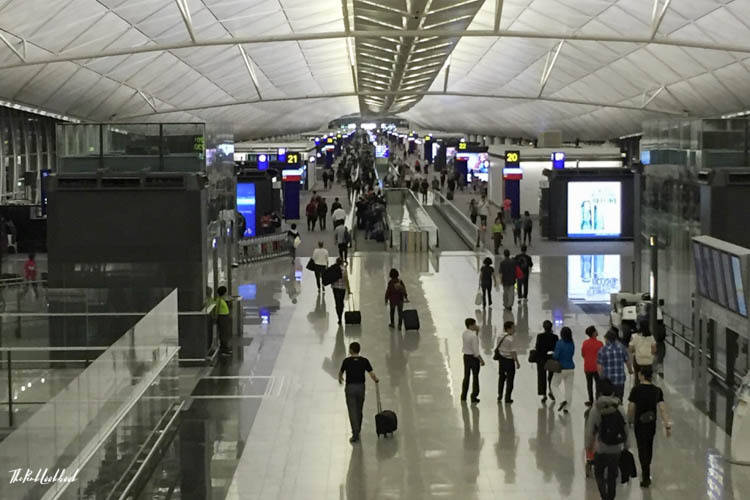 At IFC, right at Hong Kong Station, there is an In-Town Check-In. This means that there is a check-in option in the city for most big airlines. You can drop your luggage there at any time between 90 minutes and one full day ahead of your scheduled departure time. I usually drop it off in the morning and can then head to my meetings or explore without worrying about my luggage. You can leave your carry-on luggage at the service counter at Level G – near Exit B of the In-Town Check-In Hall. It costs HKD 37 (about USD 5) per item for up to three hours, between three to 24 hours, the fee is HKD 79 (about USD 10). The recommendations are the same as for going into the city from HKG (see above). After check-in, there is a pre-check of your travel documents before the security check. Even at peak times, I never spent longer than 30 minutes at the security check, as there are many lines. After the security check, you proceed directly to immigration. Similar to security, the maximum I had to wait was 30 minutes, mostly shorter. Again, if you travel to Hong Kong frequently, you can apply for the e-channel service and skip the queue. Hong Kong is a tax-free port. Hence, there is no VAT and consequently no tax refund. Terminal 1 is the main terminal representing most airlines. Terminal 2 is a check-in and processing facility for budget carriers and some full-service airlines. Passengers are then directed to Terminal 1. Check out their airport map for more details. I recommend to dine and shop in the main gate area and shortly before boarding, walk to your gate or take the train if it is further away. 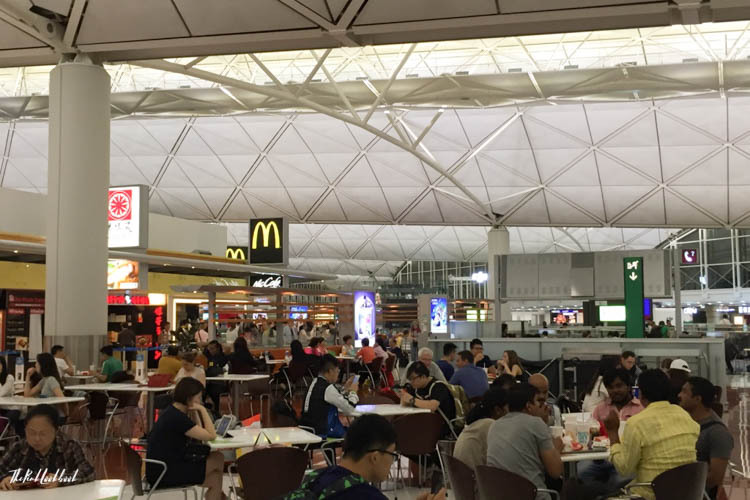 HKG is the typical Asian airport with plenty of the big brands represented. As there is no VAT in Hong Kong anyways, I usually do my shopping in the city. Relay is a good place to buy magazines, books and water. 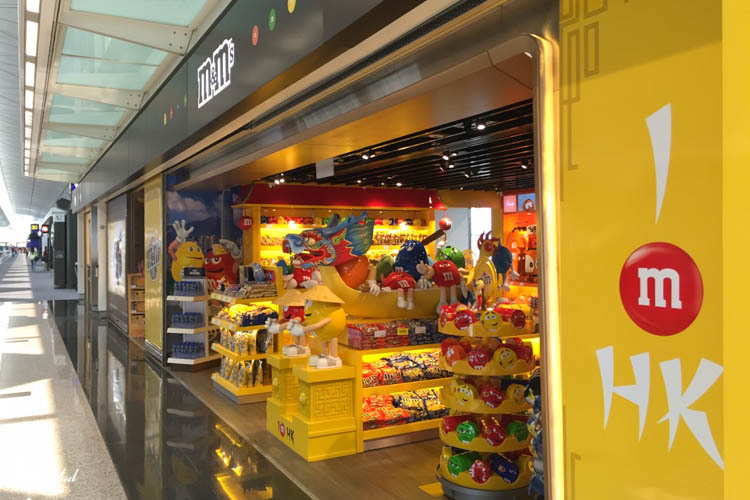 There is also an M&M’s shop located close to Gate N28 on the central concourse. After you pass immigration, there is a big food court with mostly fast food. However, there are also some restaurants on the sides such as Beef & Liberty, a branch of the burger/steak place in Star Street. We tried the burger and the avocado on toast and both were very tasty. 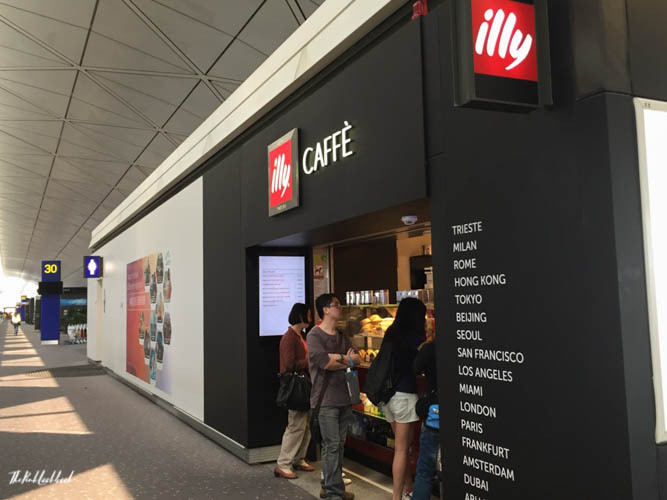 There is a small shop selling Illy coffee near Gate 30. Throughout the airport, there are plenty of seating areas. The seating areas are organized in “islands” and also have stations with plug sockets. There is complimentary Wifi. You need to choose the network #HKAirport Free Wifi. There will be an automatic pop-up where you have to agree to their Terms and Conditions. If there is no pop-up, open your browser and open any page. You will then be redirected to the Terms and Conditions form. Free showers are available near Gate 22 at the Arrivals Level (L5)of Terminal 1. There is a business centre on the first floor with printers, scanners, etc. and you can also book conference rooms. I personally have not used the shower facilities or the business centre as yet. Transferring at HKG is very efficient. Even if you have gates which are far away from each other, the airport train will bring you to your gate in no time. All information as of the date of publishing. We cannot accept responsibility for the correctness or completeness of the data, or for ensuring that it is up to date. 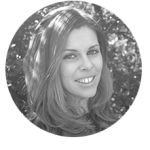 All recommendations are based on the personal experience of Elisabeth Steiger, no fees were received by the recommended places above. I’ve always found Hong Kong to be one of the best places to have a day layover in. This guide is so awesome! Thanks for sharing. I agree, it is a great airport. 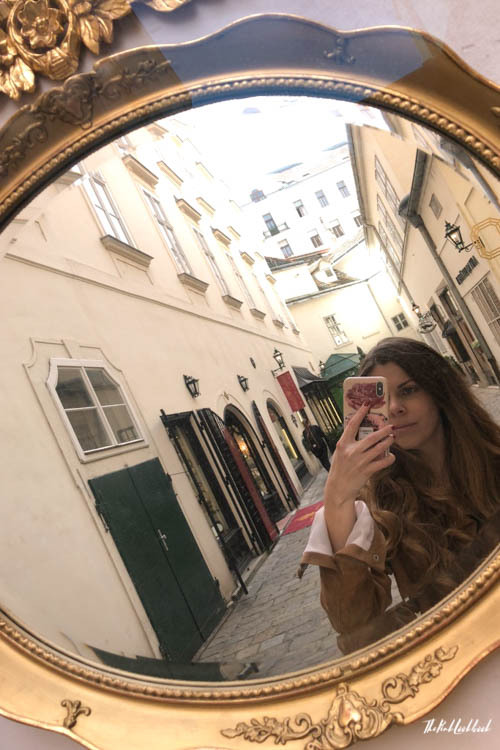 Thanks for your feedback!